Throughout this month, we will have daily guests – authors, bloggers and publishers alike – looking back at their favorite reads of 2010, and looking forward to events and upcoming books in 2011.
Who: Jackie Kessler, writer of Urban Fantasy, Comics (in 2010, she has become part of the Buffyverse canon) and Young Adult books, also blogging at Insert Witty Title Here and The Deadline Dames. Jackie is a Book Smuggler favourite and we have reviewed her books as well as inviting her to guest blog (check out this one where she says she became a writer because of Neil Gaiman). Recent Work: Shades of Gray, book 2 in the Icarus Project, written in collaboration with Caitlin Kittredge and reviewed HERE. 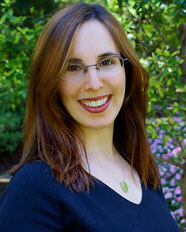 Hunger, the first in her new YA series about the fours horsepeople of the apocalypse, which Ana reviewed HERE. Ladies and gents, please give it up to Jackie! Oh my God. Forty. I’m no longer a thirtysomething. This is…big. Huge. So to celebrate having a new digit in the tens column, I’m giving away an advance reading copy of RAGE. But wait! Before that, I have to mention the book that I most anticipated in 2010—and finally read a few weeks ago. 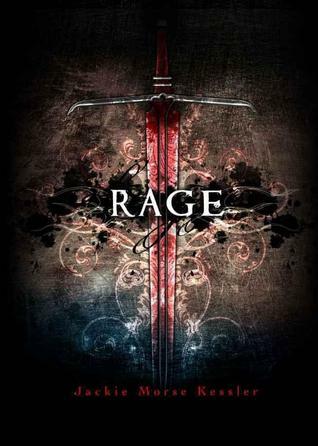 RAGE, which comes out April 4, 2011, is about a teenage self-injurer who becomes the new avatar of War, one of the Four Horsemen of the Apocalypse. I’ll be donating a portion of proceeds to the nonprofit organization To Write Love On Her Arms. It’s the second book in The Riders’ Quartet, but you don’t have to read HUNGER before reading RAGE. I’ll give away an ARC to one random commenter, anywhere in the world. All you have to do is tell me what your favorite birthday treat is. Chocolate? Cake? CHOCOLATE CAKE??? Something else entirely? The contest runs till Saturday December 11 at 11:59pm (PST). Happy Birthday, Jackie! As for the giveaway…..comment away, folks! We will announce the winner next Sunday in our weekly stash! ONE entry per person, please! Duplicate and/or multiple entries will be disqualified. Good luck! Thanks for making it worldwide. Home-made red velvet cake yummm. My favorite birthday treat is cupcakes. I have to control myself or I’d just be eating cupcakes all the time! My best birthday treat would involve a long lie in, pancakes for breakfast, chocolate fudge cake for lunch and tea and lots of presents that sparkle! Hope you have a wonderful day Jackie. Anything sweet and containing chocolate. If I get to enjoy it while having a clear schedual and hanging out with family and friends not really doing anything, it’s perfect. I love all the 40 quotes. And I chuckled at the “Ahhhh. The wheel turns…” – ties right in with the series! Hugs & Kisses from my children. Even though I’m 39 (my birthday’s in October–40 next year!! ), my mom still bakes me a cake. Not just any cake. It’s got to be chocolate with this heavenly buttercream frosting. Yum. Matt Damon, dipped in chocolate Just kidding. If getting Varen isn’t possible, I’ll settle for any cake, as long as it’s self-made, I’m happy! Roast duck and key lime pie. Peace and quiet for half the day, then movies with Kev & the kids for the other half (supplemented by popcorn, a veggie platter, and cheeses & crackers as dinner). My wants have become scarily simple! Have an absolutely awesome birthday! Chocolate cheesecake is my favorite! And Bravo and happy birthday! I’d like to have Mr Shoe from Glee singing me Happy Birthday and handing me a bunch of apple and cinnamon muffins! Happy Birthday Jackie! lordy lordy look whos forty. And Home made chocolate cake with home made cream cheese icing. Now if Ryan Reynolds were to pop out of that cake i would not be opposed. Birthdays are a day that you count your blessing, there is nothing better then seeing how much people care about you. My favorite birthday treat is this really awesome strawberry shortcake layer cake with whipped cream frosting and chocolate covered strawberries on top from a local bakery. So good! It tasted alright, but the hard work she put into it, and the look of pride on her face when I finally saw it, are what made it so great. A gateau might taste better but my enjoyment of my neices cake lasted long after it was eaten. my neice is already looking forward to making me another one, even though my birthday is still 6 months away! Every year for my birthday I go to the same Italian restaurant. My husband hates pasta, so for one day in the year, he suffers through dinner while I each as much as possible. I LOVE pasta! Thank you for making this one international! Oooh! My favorite birthday treat is a BOOK! My fave is Ice cream cake. If Ian Somerhalder happened to be there without a shirt I wouldn’t complain…. Gift cards to bookstores. They are my favorite thing about every gift-giving holiday! Ice cream cake from Dairy Queen! I love the fudge crunchies in the middle. Happy birthday! Luckily my birthday is in the summer, so I love either a picnic lunch in the park or on the beach with my family, then a good movie with my friends in the evening. My favourite birthday treat, in terms of food, is probably cake – my mum has made me and my brother a sponge cake every year on our birthdays since we were born. No sponge cake is ever as good as the one your mum makes for you. My favourite is plain sponge, with home made jam in the middle and butter icing on top. Wow, the cover looks intense! I loved Hunger and I want to read Rage! Thanks for the great giveaway! My favorite birthday treat are cupcakes. Especially red velvet ones! Any sort of cake will do for me! I especially love chocolate mousse! And please consider me for the giveaway; I’d love to get a copy. Thank you. I’m only two decades old, but I’ve been waiting for TWOT series to end since I was about fifteen; I started reading them when I was 13, then dropped the series when I found out in 2005 that there was going to be 12 books; 11 were out at the time, so I figured I would just wait and read them all at once. 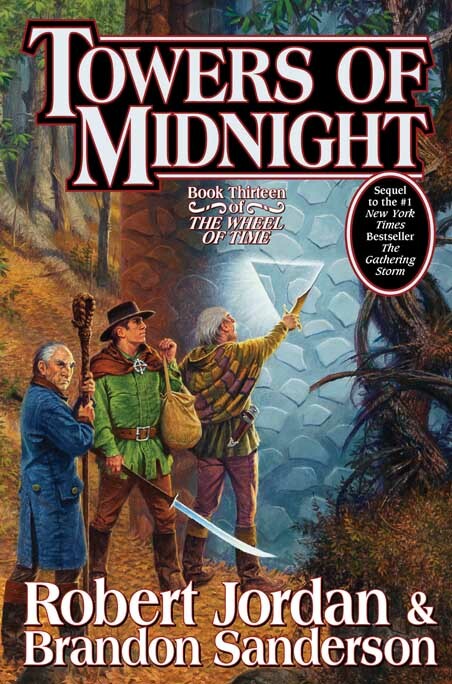 I was so sad when Robert Jordan passed away and the ending of the series got pushed five years! It’s felt long waiting five years.. I can’t even imagine what it’s been like waiting for 20, haha. As for my favorite birthday food? Ice cream cake. From Dairy Queen. Love love love. Chocolate cupcakes with buttercream icing. Yum. chocolate ice cream cake. yum! Has anyone been to a claim jumper restaurant? if so, you know what cake I’m talking about! Oooh, definitely Zac Efron wrapped in cotton candy. Only because I wouldn’t want to fight you for Matt Damon. Cheesecake for breakfast (calories don’t count on your birthday, obviously)! Devil’s food cake with seven-minute frosting and those sugar decor things for holding candles or spelling out words. Yum! Happy Birthday! Thanks for the giveaway! My favorite birthday treat is a Publix cake. I don’t care what cake is inside, although I like white and yellow more than chocolate, as long as it has buttercream icing because Publix has the best buttercream. I always go out for ice cream; I really love gelato, but we don’t have any where I live. My absolute favorite are dark chocolate cappuccino cupcakes. Or possible salty sweet cupcakes, which are dark chocolate and salted caramel. YUM. I would like a cheesecake…but with white chocolate on top!!! thank u so much for the giveaway!!! My fav BDay treat is king cake from Paul’s Pastry. wow, RAGE looks awesome! love the concept! i love all desserts, in any form, on my birthday or any day. my arteries love them too, right?? but i’d have to say my favorite is a genuine red velvet cake. not the stuff that is made red with tons of food coloring, but the stuff that is the color of blood from the cocoa that is used, and tastes like heaven. its really hard to find good red velvet cake, and i’ve never found a recipe i liked either! Mint chocolate chip ice cream. blue sky and sunshine! After months of a drearily drizzling Vancouver winter, there’s nothing better than frolicking in the sun! Fantastic. I’m a big fan of the Icarus Project books and am looking fwd to reading both Hunger and Rage. Favorite birthday treat is definitely homemade chocolate cake with chocolate icing – made by my mom of course! I’ve got you beat by one year! Forty’s not so bad! My favorite birthday treat is the chocolate cake my best friend used to make me. It’s a two layer cake, with the bottom layer carved out and filled with cool whip. There are more sophisticated foods yes, but that particular dessert has sentimental value. Oh, man, me, too on TWOT love! I also picked it up in ’93 and I’ve been reading and rereading the series ever since. johnny depp in caramel. or a ukulele. but i’ve been asking for both for years, and niether have materialized, so i guess i’ll settle on rage. I would say going out to eat! BURRITOS! I can’t wait to read Rage! I am not one for cake (ducks head) but I do love the ice cream, this year I made two flavors for my birthday and no cake. Oh awesome! I actually just got “Hunger” out of the library and am loving it. My favorite birthday treat is chocolate chip pie: it’s like chocolate chip cookie dough in a crust…yum. Matt Damon, dipped in chocolate, told me to tell you that my favorite birthday treat is kahlua cake with vodka icing. Yummmmm. Ooo. Hunger was fantastic so I’d definitely love to read Rage. I’d have to say my favorite treat at the moment is dark chocolate-covered bananas. Ice cream cake! Love it. My favourite birthday treat is a ‘Moorkop’, which is basically a giant profiterole covered in chocolate. It’s so yummy! Vegan chocolate cake, for sure. I get a Cheese cake, my favorite for my birthdays!! So good!!! I like to get a Baskin and Robbins Ice Cream cake. At My Age who needs cake.lol I don’t really celebrate my birthday anymore, if I do treat myself to something it’s homemade choc cake and choc ice cream. Every year for my birthday, my mother makes me the loveliest white cake with pink icing and coconut sprinkles! My birthday is on Cinco de Mayo and every year we go to a Mexican or TexMex restaurant and I get Sopapillas. If you don’t know what Sopapillas are, they’re a fried pastry covered in honey (sage honey is the best on them) and sometimes powdered sugar. Amazing! I do believe this is a pretty Americanized version of the Sopapilla, but it’s just so darned good I have a hard time caring. I make a dark chocolate cake, homemade cream cheese frosting, sliced fresh strawberries, drizzled with dark chocolate ganuche. I have to go for chocolate-fudge cake with ice cream!! Chocolate cheesecake with strawberry sauce!!! YUMMMMM! My favorite food is ice cream cake – Dairy Queen with the vanilla ice cream with the chocolate fudge& crunchies. Every year for my birthday I have a sushi party with my family, with big trays of sushi from the fresh market so – SUSHI! Perogies all the way – cheese and potato! Caramel chocolate brownie cheese cake… nuff said. I put things off a whole lot and never manage to get nearly anything done. What’s up,I log on to your blogs named “Smugglivus 2010 Guest Author (& Giveaway): Jackie Kessler |” on a regular basis.Your humoristic style is awesome, keep up the good work! And you can look our website about .